An emotionally powerful love story about family, commitment, and living in the midst of dying. 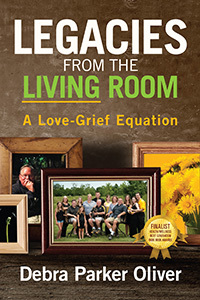 It is a unique memoir written not by an individual who is dying, but by a spouse faced with caregiving and loss. It is targeted for family members facing the terminal illness of their loved one as well as the professionals who are responsible to care for them. I quit breathing. I’m not prepared for that answer, and I know David isn’t either. David asks, “So how long do I have?” “If chemotherapy works, three to five years. If not, six months.” Those are the last words I hear. My brain shuts down. Debra Parker Oliver is the Paul Revare Family Professor of Family Medicine, in the School of Medicine,at the University of Missouri. She has a Masters of Social Work and a PhD in Rural Sociology from the University of Missouri. 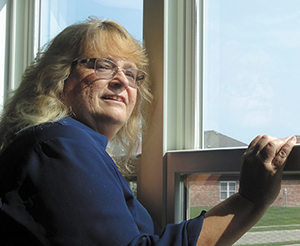 She was a hospice social worker and administrator in three hospice programs for a total of more than 20 years. After getting her doctorate she continued her commitment to the improvement of hospice care through research with more than 170 peer-reviewed articles related to palliative and hospice care. In an effort to teach and advocate for those facing cancer and terminal illness Debbie and her husband David created a blog to share their journey with others. The received the Project Death in America Community Education Award from the American Academy of Hospice and Palliative Medicine two weeks before David passed away. Debbie now continues the journey through grief and bereavement, continuing her commitment to share her journey.